Welcome to Coast Guard Base Charleston. The Base is located in the Southern most part of the city. Historic Charleston surrounds the waterfront area in which the Base is situated. Charleston is a seagoing port with access to both the Ashley and Cooper Rivers. This leaves the Base in an ideal position for many seagoing missions as well as a variety of shore based activities. Arrival: Upon your arrival at the Base you proceed to the brick administrative office building located on the right as you proceed through the main gate. Enter the front door and proceed to the back of the ground floor where you will be checked in by an administrative Yeoman. If you arrive after working hours, contact the Base OOD at (843)514-4203 for your check-in. Uniforms: Checking in during working hours (0730-1530 Monday through Friday) you must be in the appropriate uniform (either Service Dress Blue or Tropical Blue). Transportation: If arriving by air at Charleston International Airport taxi service is available. This is reimbursable for those traveling under orders. There is no duty driver at the Base. Obtain a check-in sheet from the Admin. Office. Vehicle parking stickers for access to military bases are issued by Coast Guard Base Charleston. You will have to provide a valid vehicle registration, drivers license, and proof of insurance to have a sticker issued. 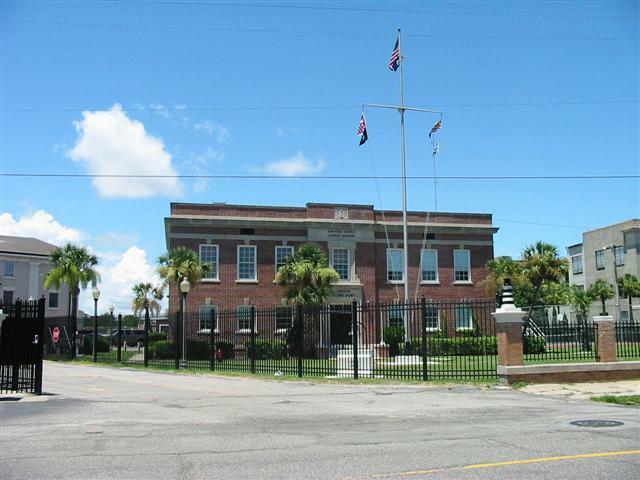 Leased Housing: Due to the Navy downsizing in Charleston, there is an abundance of Navy quarters available to Coast Guard personnel. 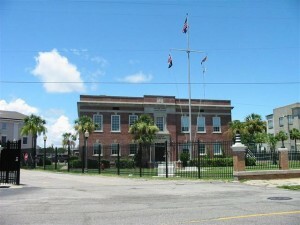 The Naval quarters are located at the Naval Weapons Station Military Housing in Goose Creek, approximately a 30 minute drive to USCG Base Charleston. If you desire Navy quarters please contact the Navy Housing office at (843) 764-7264/5. Galley: The Galley is located in the Barracks Building. There is no current waiting period for SEPRATS. Current meal prices are subject to change on a monthly basis. Recreation: Located on Base is a basketball/tennis/volleyball court, fitness room, and picnic area. However since the Base is not very big, most events are held off base. The Charleston area offers a wide variety of recreational activities. Any and all water oriented hobbies and sports are offered to those interested in the surf and sand. Local health and fitness centers are scattered throughout the area. The Charleston Air Force Base also has a large recreation facility with indoor racquet ball, basketball, weight room, rowing & stair machine as well as step and aerobic classes. Most apartment complexes also offer a variety of activities for their residents ranging from nautilus machines to tennis. Sight seeing and tourism offer a great deal of fun in historic Charleston. Base Exchange: A medium sized exchange is located on the Base. It contains a wide variety of jewelry, electronic, miscellaneous gift items and necessities at very competitive prices. Anything not in stock can be special ordered for you, including major appliances. The is also a large exchange and commissary located at the Charleston Air Force Base which is 30 minutes from the base in North Charleston, and an Exchange and Commissary at the Naval Weapons Station. Duty: All E-6 and some E-5 personnel stand Base OOD duty. OOD watch rotation is currently at 1 in10. E-5 and below stand gate watch. Watchstander rotation is currently 1 in 8. Inspections: Group/Base material and personnel inspections are held on a quarterly basis. Shopping: One of the things that sets Charleston apart from the rest of the East coast is its abundance of shopping malls, stores, car and bike dealers and sporting goods stores. If you need it, you can find it in the Charleston area. The list of things to do in the Charleston area could go on and on. Once you arrive here you will find that if you look you will discover new things to do daily. Concerts and Festivals are scheduled weekly. Summerville speedway is a great place to be during the NASCAR season.